There can be little doubt that those of us with fibromyalgia/chronic fatigue have challenges that have forced us to live life differently than those who have ‘health privilege’ (a term I am unashamed of borrowing from Carolyn Thomas- www.myheartsisters.org). Often thought of as malingering, hypochondriac, weak, attention seeking, depressed people we often live in quiet desperation. By now we recognize that we have developed these conditions because of an over-stimulated nervous system which cannot sustain itself in a healthy manner any longer. It is as though we have over stretched the central nervous system just as a rubber band might become less elastic after constant over stretching. Whatever normal is, our hyperaroused nervous system is suffering from years of responding to stimuli that are too overwhelming for our sensitive natures and has become functionally abnormal . 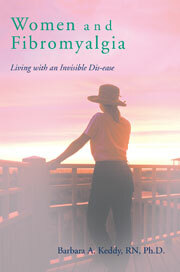 In spite of the fact that fibromyalgia is not a disease, but a dis-ease, perhaps precipitated by an illness or accident, or long-standing stresses from general life experiences, we have become chronically ill because of the pain, fatigue and myriad of other symptoms with which we are faced. Reading the comments that are posted in the 99 blogs (this is number 100!) I have written over the years I am always struck by the physical and psychic pain of the readers. Some are functioning fairly well while many others are bedridden and socially isolated. None of us live with the expectation we will be cured of the pain, fatigue, intense itching, depression, anxiety, nausea, flu-like symptoms and other debilitating challenges of these syndromes. Therefore we are left with this question posed by Toni Bernhard :” Can we live a good and fulfilling life when our activities are so severely curtailed?”. The answer, of course, is “YES!”, if we live in the moment. This entry was posted in anxiety and fibromyalgia, Crolyn Thomas, depression and fibromyalgia, Fibromyalgia, healthy privilege, Jon Kabat-Zinn, mindfulness meditation, MUS, Toni Bernhard, treatments for fibromyalgia on October 31, 2013 by Barbara Keddy.